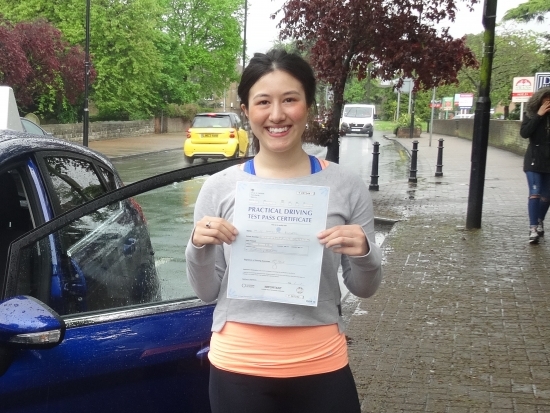 "I managed to pass my driving test first time with two minors! Richard’s first ten lessons are great because he gets you driving (traffic lights, mini roundabouts etc) and enjoying it. My best friend learnt at the same time as me with a different instructor and spent the first ten lessons not doing a lot, which she said was very boring. Richard is adaptable to how you learn, and will draw pictures, show you photographs and maps, and send you videos if you need it. Richard was very, very patient - even one year into lessons when I still couldn’t remember where I was or where I was going! He would find a way to make me laugh at my weaknesses so that at the end of the lesson I felt good and looked forward to the next one. At the end of each lesson, he would give me a mini summary of the lesson. Richard will talk to you when you need/want or stay quiet because it is 6am and you’re tired! When I changed jobs and could no longer do a set day and time, he always managed to fit me into his busy schedule, going out of his way to make sure I got the lessons I needed, along with everyone else in his schedule. You will have a laugh and pass feeling confident, which is awesome".